The refreshing essence of peppermint is amplified by an invigorating menthol base! If you're looking for an extra cool vape that leaves you feeling energised with every inhale, look no further than Ice Mint from Vapouriz. The Vapouriz 50/50 range is a collection of balanced blends with a 50% PG, 50% VG formula. 50/50 e-liquids give you the best of both worlds, producing great flavour and impressive clouds, and can be used in most vape kits. 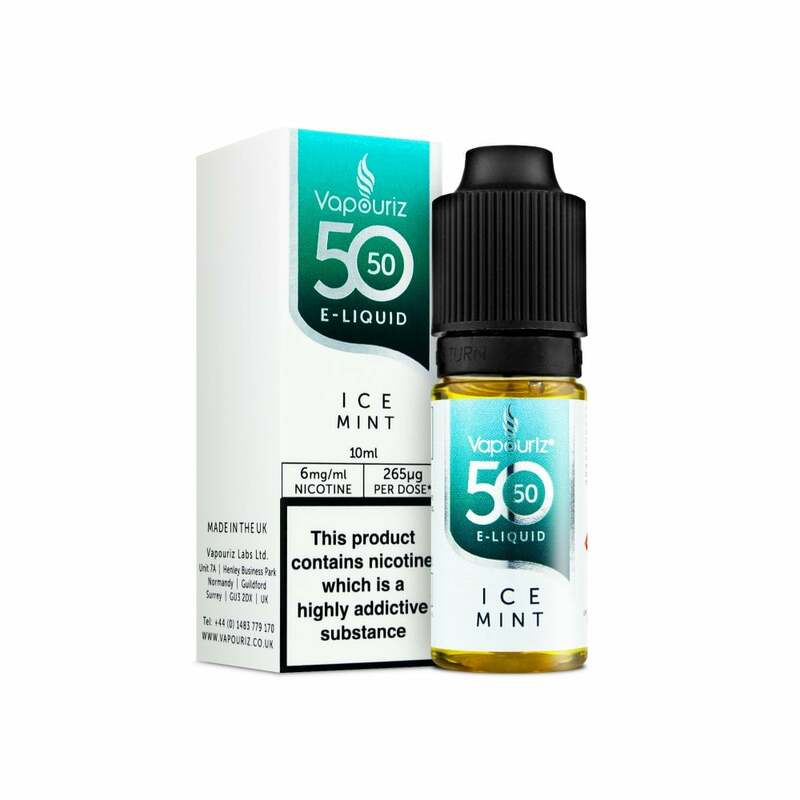 Vapouriz 50/50 e-liquids come in 10ml bottles and are available in a range of nicotine strengths. I’ve tried loads of liquids now and this one is great value and lasts well. It has no over powering flavour and a smooth fresh hit. Delivery is always super fast too. well done.